Corporate governance -- Law and legislation. 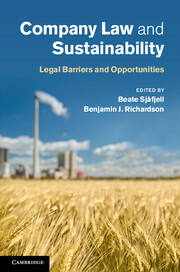 Sustainable development -- Law and legislation. Publication Cambridge ; New York : Cambridge University Press, 2015.